By Philip A. Bralich, Ph. D.
There’s a new economic theory in class—and everyone will know of it through Economics, Power, and Group Dynamics. 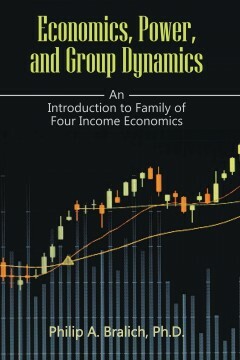 Dissatisfied with the current economics and economic systems, Philip A. Bralich demonstrates a new economic theory that can reduce the division of rich and poor people, and increase the size of the middle classes, challenging the dynamic of the rich getting richer, and the poor getting poorer. If you wish to see for yourself how one can do it, with every flip of a page, Economics, Power, and Group Dynamics always has something in store for you.